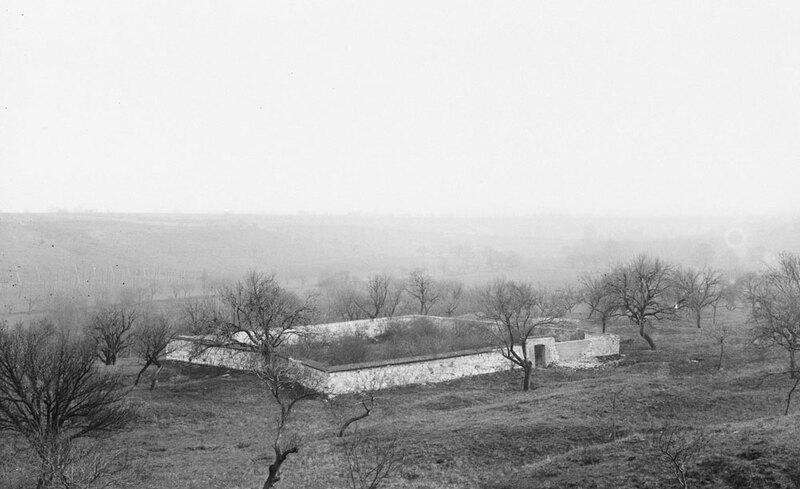 According to the oldest preserved census of Jews, stating Libočany village, there lived in 1724 three Jewish families which had since 1703 also their oratory. At the end of the 18th century, their number increased by one family. Libočany were then under the rabbinate in Postoloprty, where the Jewish registry conducted since 1827 (in Nové Sedlo since 1800). The synagogue was built in 1836 near the Jewish houses. Besides a prayer hall, which was on the first floor, on the ground floor was an apartment of the synagogue servant. 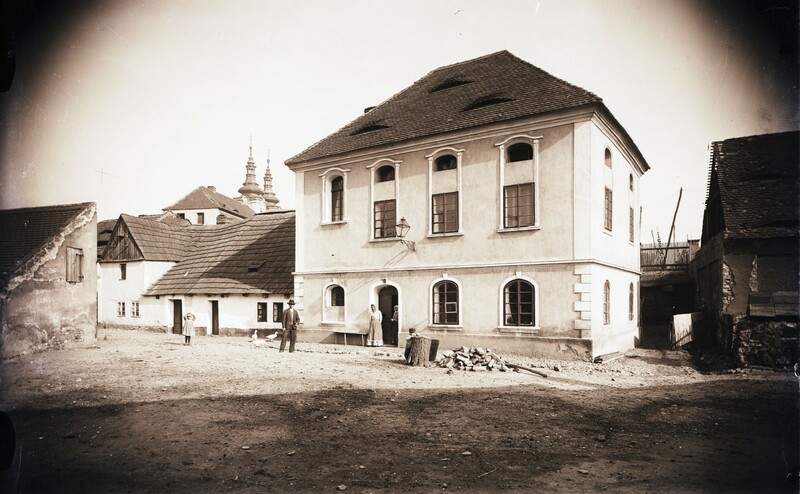 The land for the construction of a synagogue in size 36 x 58 meters, was purchased in 1834 by the members of Jewish communities Liboany, Nové Sedlo and Pívlaky from the owner, i. e. Joseph Schreiter of Schwarzenfeld. Until then served for prayers probably any room in a private house. .From the synagogue was established dwelling house which crashed around the year 1964 by itself. Jews of Liboany buried their deads in the cemetery of eradice Jewish community by the stream Liboc, but only since 1837, when it was established. The place where they have buried before this date is not yet known. The cemetery is currently untidy, overgrown with bushes and tombs are robbed. From the time of the civic emancipation in 1848, many of them moved to the city, mostly to the near Saaz. As it is apparent from the entries in the land register, Jews owned, or had rented houses No. 9 (Lederer´s), 11 (Wetzler´s), 13 kovárna (Wetzler´s), 19 (Stein´s), 28 (Heller´s), 29 (Fischer´s), 31 (Kail´s), 43 (Löwi´s) a 48 (Porges´s). By March 15, 1863 the Liboany Jewish community was disbanded and incorporated into the Saaz one. Source: www.libocany.cz, official Homepage of Liboany, see „Informace o obci – Historie – Kronici obce – Kronika v datech [Chronical] 1798-1918“, in charge Antonín Meder | Ernst Mändl/ Heinrich Schwenger: Die Geschichte der Juden in Saaz [History of the Jews in Saaz], in: Hugo Gold (Hg. 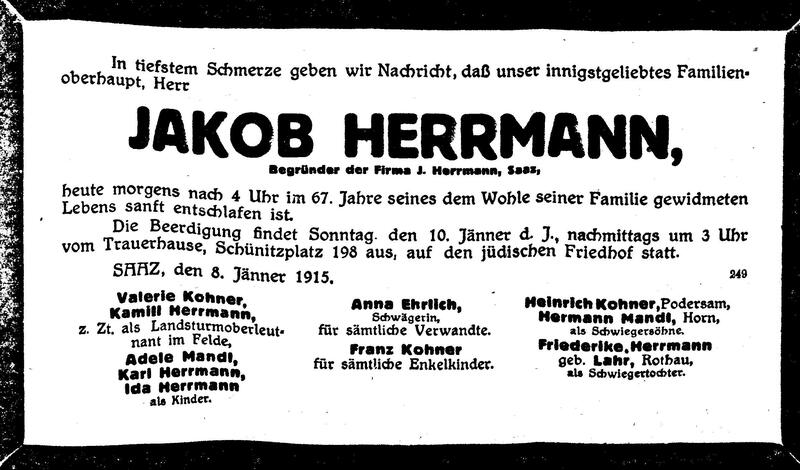 ), Die Juden und Judengemeinden Böhmens in Vergangenheit und Gegenwart [Jews and Jewish Communities of Bohemia], Brno 1929-1934.